Mercury Computer Systems is to develop a high performance baggage scanning system based around graphic processors (GPUs). The company, which has been using GPU arrays in military and medical imaging systems since 2004, is using its unique expertise in optimizing algorithms for GPUs and its software framework to enable the scanning systems to deliver ultra-clear images, improving the reliability of results, increasing security and speeding up the screening process at airports and other transportation hubs. Initially Mercury will provide optimization for back-projection algorithms for performance on Intel x86 processors with GPGPUs serving as specialized co-processors. The company will also deliver a customized software framework to optimize data flow from the sensor to the processing engines and then to the display. The optimization will result in extremely clear images being fed to the threat detection algorithm, reducing the number of false positives and supporting high belt speeds. Imagination Technologies has launched a highly integrated low cost 'connected processor' based system designed to help engineers create the next generation of Cloud-connected embedded and consumer solutions. Minimorph is the first connected processor based development system targeted at enabling the diverse applications using Imagination's MetaFlow connected processor and Flow cloud technologies, enabling engineers to develop connected applications across a wide range of markets including home automation, security systems, smart energy, healthcare and assisted living, connected/educational toys, industrial monitoring and control, M2M and more. By giving easy access to not only highly integrated Meta-based hardware but also Flow client and portal software frameworks, engineers using Minimorph can now confidently create applications for Cloud connected devices, gain experience with Flow technology, and migrate embedded, industrial and consumer products previously considered 'stand-alone' to take full advantage of Cloud-based connectivity. Using MetaFlow processors and Flow technologies, highly cost-effective 'client devices' integrating processor cores, high speed connectivity (e.g. Wi-Fi) and ultra-low power communications (e.g. for sensors and M2M) are combined with ready-to-use 'Cloud-side' portal technologies and ecosystems using Flow APIs to create highly portable and upgradeable solutions. "Imagination's Flow technology includes highly integrated connected processor based licensable SoC hardware platform IP together with a growing portfolio of processing and connectivity options, complemented by a range of internet-based enabling technologies and a portfolio of cloud-based resources and services from Imagination's ecosystem of partners. Minimorph is the first development system that allows engineers to develop complete production-ready solutions taking full advantage of the hardware and portal benefits of Flow technology utilizing Flow APIs in a powerful and fully documented package." The Minimorph development platform is powered by MetaFlow processor technology, which combines multithreaded processing and always-available connectivity, and connects to the FlowWorld Cloud portal, Imagination's configurable portal technology for enabling the connection of devices to the Cloud. These two IPs underpin Imagination's Flow technology, a comprehensive IP platform, which establishes a new benchmark for connecting devices to the Cloud utilising both internet and broadcast channels. The Meta HTP221-dp2 Minimorph development system beta programme is starting now, and will be available for sale from November 2011 from Imagination Technologies for less than $200 in single unit quantities. With a small form factor of 10cm x 10cm, and capable of being powered from the USB interface, the Meta HTP221-dp2 'Minimorph' offers a convenient and highly portable development platform based on the Xenif TZ1090 SoC from Toumaz Technologies which uses Imagination's Meta HTP 32-bit hardware multi-threaded RISC and DSP CPU core and two Ensigma UCCP310 multi-standard communications IP cores. The Minimorph development platform includes comprehensive tools and peripherals derived from Imagination's highly respected Codescape SoC development tool suite, to enable project development on leading-edge embedded technology that has shipped in millions of products worldwide. Minimorph supports the evolving set of Flow technology's powerful and growing, yet simple to implement, APIs which will enable a diverse range of embedded applications supported by web services to be rapidly developed and deployed by Imagination's Flow ecosystem partners. A rich set of interfaces and peripherals including SD-card, HDMI, USB and Wi-Fi, plus headers for a range of TV or radio tuners, make this one of the most powerful and flexible development systems for multimedia and internet-connected embedded solutions. Minimorph initially includes a port of the latest open source Linux OS for Meta processors. It enables developers to access both the wealth of application and device support available for Linux based systems, and the real-time 32-bit DSP capabilities of the Meta processor. Other environments, including those based on the lightweight MeOS operating system, are also possible. The Minimorph SDK includes Codescape Debugger with Linux application debug support. It ships with working tutorials and documentation plus examples that familiarize developers with Meta's architecture and DSP features. Greenliant Systems has started volume production of its SATA interface NANDrive solid state drives (SSDs). The GLS85LS product family has the same pin-out across all capacities—2 GB, 4 GB, 8 GB, 16 GB, 32 GB and higher in the future—which simplifies system-level board design. Measuring 14mm x 24mm x 1.95mm, in a 145 ball grid array (BGA), 1mm ball pitch package, SATA NANDrive devices are one of the smallest SSDs, giving OEMs flexibility when designing data storage into their embedded products. The BGA package can be soldered directly onto the motherboard—no extra connectors are needed—providing added stability to the SSD. Compatible with the latest generation chipsets, SATA NANDrive combines Greenliant’s proprietary high-performance NAND flash controller with up to eight NAND flash die in a multi-chip package. As a fully integrated SSD—when compared to using discrete NAND and a controller—NANDrive improves customers’ time-to-market by eliminating the need to procure and qualify multiple chips. The addition of SATA II-compliant GLS85LS devices builds on the success of Greenliant’s PATA (GLS85LD and GLS85LP) products, expanding its portfolio of NANDrive embedded SSDs. Unique device ID, password protection and four independent zones that the user can set to different protection levels. In addition, SATA NANDrive allows the user to select specific areas of the SSD to instantly purge sensitive content, instead of erasing the entire drive. Advanced Wear Leveling - Greenliant’s NAND management technology is based on advanced static and dynamic wear-leveling algorithms that balance the wear across Erase Blocks in the entire memory subsystem, maximizing the NANDrive lifespan and allowing system engineers to address applications with long lifetime requirements. SATA NANDrive is available now from authorised distributors and sales representatives online. Customers can also request NANDrive product samples and evaluation boards online. Atmel Corporation has teamed up with Redpine Signals to help its community of system engineers easily add 802.11n Wi-Fi to its AVR and ARM-based microcontrollers for a variety of embedded systems in building automation, metering, digital audio and medical applications. Designers can add 802.11a/b/g/n Wi-Fi connectivity using two solutions from Redpine Signals optimised for Atmel MCUs. The fully-certified Connect-io-n Wi-Fi modules with integrated TCP/IP stack are ideal for AVR XMEGA and AVR UC3 MCUs, and SAM3 ARM-based MCUs, while the high-performance n-Link module with host-managed TCP/IP stack are linked to SAM9 ARM-based MCUs. These all connect through the UART, SPI and SDIO interfaces and offer up to 65Mbps of physical bit rate and up to 45Mbps of data throughput on SDIO interfaces. Wi-Fi kits from Redpine include optimised drivers and code examples free of charge and customers can also download Linux drivers to use with the Atmel SAM9 ARM-based MCUs. "Wi-Fi connectivity is fast making its way into embedded applications," said Oyvind Strom, senior director of wireless marketing at Atmel. "Our customers are looking for low-power Wi-Fi connectivity for their embedded applications to complement the emerging 802.11n infrastructure network. This is an ideal time to add Wi-Fi capability to our MCU families, and we are excited to collaborate with Redpine Signals to bring more Wi-Fi connectivity to market." "Redpine has pioneered low-power 802.11n Wi-Fi technology for over 10 years and established itself as a preferred provider of Wi-Fi connectivity for emerging industrial, medical, residential and smart energy markets. By offering 11n Wi-Fi connectivity for the leading Atmel AVR and ARM-based microcontrollers, including the AVR XMEGA, AVR UC3 and SAM3 and SAM9 ARM-based families, we believe it is a 'win-win' for both companies," said Venkat Mattela, CEO at Redpine Signals. "Our mature, proven module design and manufacturing expertise, combined with our optimal silicon architecture, has enabled us to provide 802.11n single-stream solutions at a lower cost than legacy 802.11b and 802.11b/g solutions." To begin evaluation, customers may purchase an Atmel evaluation kit, such as the Xplained kit, and a Wi-Fi kit from Redpine Signals. The Atmel Xplained and EV kits are available from Atmel and its distribution partners with a suggested retail price starting at $29. The Redpine Signals Wi-Fi kits are available from Redpine Signals with a suggested retail price starting at $79. Following hard on the heels of yesterday's announcement by Broadcom of a 40nm single chip powerline device, Qualcomm Atheros (QCA) has also launched a new chipset for the HomePlug AV powerline networking standard. The networking and connectivity subsidiary of Qualcomm has announced its new AR7420 chipset, which it will be demonstrating at the Broadband World Forum conference this week in Paris. Samples of the AR7420 chip will be available before the end of the year. Pricing and die size are not available from either supplier. The AR7420 is a powerline communications (PLC) transceiver IC that enables the world's smallest, highest performing and lowest power HomePlug AV-based and IEEE 1901-compliant products yet deployed. The chipset is the latest in Qualcomm Atheros' AMP Powerline technology portfolio, and it is optimized for embedded solutions and small form-factor standalone adapters. The AR7420 is specifically designed for multi-media applications and delivers up to 500 Mbps of powerline performance in a cost-effective approach to support high throughput connectivity for broad consumer adoption in high volume applications. "With the launch of the AR7420, Qualcomm Atheros is demonstrating its commitment to address the dramatically expanding connectivity requirements of the digital home," said Dan Rabinovitsj, senior vice president and general manager, networking business unit, Qualcomm Atheros. "The AR7420 provides a cost-effective powerline solution that is specifically optimized for multi-media streaming and embedded applications so as to drive down the cost of adding powerline communications into a variety of clients and routers. We are excited to expand our ecosystem of powerline products for our customers and end users." Aimed at both standalone powerline equipment or in QCA's 'Hy-Fi' hybrid networking designs using Qualcomm Atheros' Wi-Fi technology, the AR7420 chipset operates over a wider spectrum (2 MHz to 68 MHz), delivering more than twice the PHY rate speed of current HomePlug AV solutions. This fifth-generation HomePlug AV-based IC also delivers carrier-grade performance with support for multicast IPTV, reliable quality of service and whole home coverage. The AR7420 chip includes an MII/RMII host interface, integrated memory and a 10/100 low power Ethernet PHY. The AR1540 line driver IC is a companion chip that provides signal optimization and multiple country support. Broadcom has launched the industry's first 40nm single chip monolithic Powerline Communications (PLC) SoC that is HomePlug AV 1.1 certified and IEEE 1901 compliant. Using existing residential electrical wiring to create a home network, Broadcom's BCM60321 Powerline Networking SoC enables increased in-home network coverage for easier plug-n-play connections. "The worldwide market has demanded multiple home networking standards for a high performance and easy-to-use network. Powerline Networking offers key advantages including the availability of electric outlets throughout the home, driving increased network coverage and an easier plug-n-play consumer experience," said Jason Blackwell, Digital Home Practice Director, ABI Research. High Levels of Integration: combining analogue and digital front end with line driver, modem and memory in small 9mm 76 pin QFN style package for a true single chip PLC solution. HomePlug AV 1.1 and IEEE 1901 compliant: resides on 200Mbs physical layer for 200Mbit/s powerline networks. Small Form Factor: entire PLC modem design size of 51mm x 38mm is possible. Low Power Consumption: modems consume less than 2.5 Watts of power when "on" and less than 0.5W on "standby." Intelligent Switching: provides repeating, channel bonding, failover and load balancing for layer-2 in multi-mode home networks. Fully Managed Network Functionality; supports remote network management and diagnostics for ISP deployments. RF Monolithics has launched its latest low-cost, long-range frequency hopping spread spectrum (FHSS) module for original equipment manufacturers (OEMs). The DNT24 module is a very affordable solution for wireless applications that require reliable performance in difficult or unpredictable RF environments that also need a robust set of networking features. The DNT24 serves a wide range of applications from simple cable replacements to sophisticated sensor networks. Target applications include industrial / commercial wireless sensing, AMR and smart grid, and remote control. Its application programming interface (API) is designed for easy embedded integration to speed up design time and get products to market faster than other FHSS modules selling at higher prices and less design flexibility. FCC, Canadian IC and ETSI certified. RFM offers a developer kit - the DNT24DK - to help design engineers fast track their designs. The DNT24DK developer kit will be available in late October from RFM distributors Avnet, Digi-Key, Future Electronics, and Mouser Electronics. 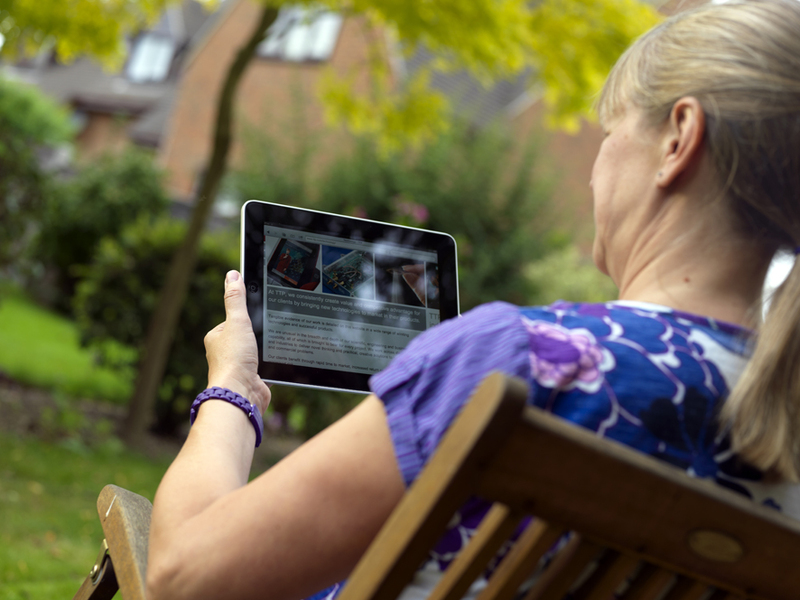 TTP in Cambridge is successfully streaming iPlayer HD video at speeds of over 5.4Mbps across a 5.6km white space link from its research centre near Cambridge to a house in the rural village of Orwell. The early success of these trials demonstrates the potential importance of white space connections - which take advantage of unused TV spectrum – to deliver fast and cost-effective rural broadband to some 600,000 poorly served homes and business, as well as for new applications such as remote smart metering. 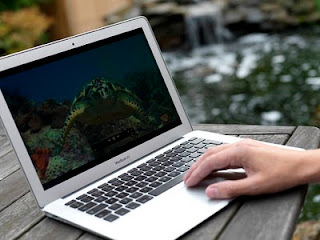 White space broadband has a practical range of up to 10km, versus just 4km for typical wired ADSL connections and the cost of deployment will be significantly less than fibre over long distances. While white space works much the same way as Wi-Fi, TV spectrum signals travel farther, are better at penetrating walls and require fewer access points. Working with technology partners such as Cambridge-based Neul, TTP is also looking to enhance performance by experimenting with high order modulation schemes and signal coding techniques to increase spectral efficiency and to ensure that white space connections can co-exist without interference to existing TV broadcasting. This also requires a sophisticated central database approach with heuristic learning and feedback mechanisms, in a similar way to internet search engines that learn from the information users request and ultimately select. The drive for rural broadband has the support of the UK Government that recently allocated £360m to improve access across England and Scotland, while earlier this month OFCOM gave further support for white space by saying that it would allow multiple third-party providers to develop white space databases and make white space devices licence exempt. Ofcom expects that white space technology could be launched in the UK as early as 2013 and is already considering the future use of other white spaces such as those in the band currently used by FM radio services. TTP is part of a the White Space Consortium - that also includes BBC, BSkyB, BT, Microsoft, Neul, Nokia, Samsung and others – established to focus on the use of TV white space to explore how unused TV spectrum could provide an inexpensive solution to satisfy the escalating demand for wireless connectivity from UK consumers and businesses in towns, cities and rural areas. Along with consortium members, TTP is also exploring the use of white space spectrum for emergency service applications and smart grid machine-to-machine control and monitoring. Broadcom has launched a new family of NFC chips designed to drive the mass deployment of NFC in consumer electronics devices, based on a leading edge 40nm process. By using the latest process technology Broadcom cut power consumption by more than 90 percent, used 40 percent fewer components and has a 40 percent smaller board area for the BCM2079x family, making it the smallest and most power efficient NFC solution on the market. The NFC controllers are platform agnostic with support for multiple secure elements or SIM cards — or both at the same time. In addition, Broadcom's Maestro middleware allows new NFC applications to use Bluetooth and Wi-Fi capabilities in a phone. An accelerated adoption of NFC could transform the use of smartphones, advancing beyond contactless mobile payments and ticketing to enable radically simplified connectivity between the handset and other devices like Bluetooth headsets and Wi-Fi-enabled digital televisions. The proliferation of NFC has the ability to expand the usefulness of smartphones and inspire a range of new applications built on the ability to create simple, secure connections between devices and enable services with a touch of the phone. The family also includes support for field power harvesting allows the chip to draw energy from the environment so it can support transactions even if the phone battery has expired. "Broadcom is committed to making NFC as ubiquitous as Bluetooth and Wi-Fi are today," said Craig Ochikubo, VP and GM, Wireless Personal Area Networks at Broadcom. "These solutions provide the features and performance that enable disruptive innovation that will reshape the mobile consumer experience. Our leadership and proficiency in wireless connectivity influenced the architecture of these new chips to meet the performance required by OEMs, allowing them to more easily add NFC to their designs." NXP has launched the first ARM Cortex-M0 microcontrollers with integrated segment LCD drivers, enabling high contrast and brightness in a single chip. Featuring the NXP PCF8576D LCD driver, the LPC11D00 and LPC12D00 are capable of driving any static or multiplexed Liquid Crystal Displays containing up to 4 backplanes and 40 segments, and can be easily cascaded with multiple segment LCD drivers to accommodate up to 2560 segments for larger display applications. 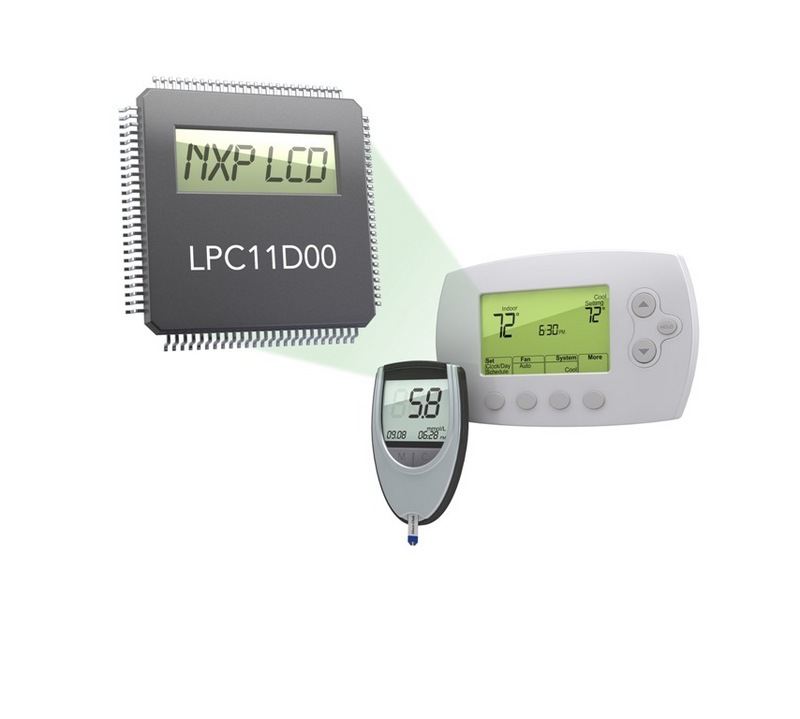 With the LPC11D00 and LPC12D00, NXP can now lower overall system cost up to 15 percent while providing seamless LCD integration into a wide range of applications including industrial automation, white goods, lighting, home appliances, and portable medical devices. "Our Cortex-M0 microcontrollers have been tremendously popular as a straightforward replacement for 8- and 16-bit MCUs in white goods and industrial applications. Now we are offering a simple Cortex-M0 solution for system designers who want to be able to drive high-quality, high-contrast segment LCD displays without having to use two chips, or get locked in to legacy MCU architectures," said Jan Jaap Bezemer, director of marketing for the microcontroller product line at NXP Semiconductors. "The LPC11D and LPC12D series offer a cost-effective entry-level option in our Cortex-M LCD portfolio, which includes Cortex-M3-based graphical LCD controllers capable of driving TFT and STN displays." The LCD driver supports a wide LCD supply range from 2.5 V to 6.5 V for interfacing with both low-threshold and high-threshold LCDs. The integrated driver increases system reliability and quality, and reduces electrical interconnect and compatibility issues, while incorporating key features such as on-chip display RAM and versatile blinking modes. In addition to blinking the whole display, the LPC11D00 and LPC12D00 also support alternate messages to be displayed at a configurable blink frequency on an arbitrary selection of LCD elements. Display data sent from microcontroller can be stored in the 40 x 4-bit on-chip display RAM which supports a direct mapping to the LCD elements on the display. Furthermore, these features can be maintained while the microcontroller is in low-power mode, making the LPC11D00 and LPC12D00 a competitive solution for low-power 8/16-bit applications that require low-cost segment LCD integration. The LPC11D00 supports up to 32 KB of Flash, 8 KB of SRAM and offers a rich peripheral set, including 2 SSPs, I2C (FM+), UART, 4 system timers and a 8-channel high-precision 10-bit ADC. As an extension of the energy-efficient LPC1100L family, the LPC11D00 also features unique API-driven power profiles providing users with ready-to-use power management templates allowing designers to do runtime optimization of performance, efficiency and active power consumption with simple API calls. The LPC12D00 extends the feature set of the LPC11D00 with up to 128 KB of Flash and highly innovative analogue peripherals such as dual analog comparators with 32 levels of voltage reference, edge and level detection, and output feedback loop. As the newest addition to the LPC1200 Industrial Control Series, the LPC12D00 is a highly reliable solution for safety-critical industrial automation and white goods applications. The LPC1200 family is rated as high immunity, based on the Electrical Fast Transient (EFT) test conducted by Langer EMV-Technik GmbH per IEC61697-1 recommendations and is IEC 60730 Class B-certified. The NXP LPC11D14 and LPC12D27 are currently sampling and will be available from distributors worldwide in Q4 2011 in 32-KB and 128-KB Flash sizes. Recommended distribution unit pricing for 10,000 piece quantities is US $1.53 for the LPC11D14FBD100/302 and $2.19 for the LPC12D27FB100. Illinois chip designer Grid Connect has developed a ARM-based System on a Chip with integrated Gigabit Ethernet for the low cost embedded marketplace costing just $10 . The gridARM is designed for low cost products that require a fast Ethernet connection. As most IT networks, PCs and laptops are all gigabit Ethernet, it only makes sense to have all your devices on the network to be as fast as possible and the gridARM is designed to be the main processor in the system. The gridARM is available in volume today, manufactured by Atmel. The development kit includes an evaluation board, cables, JTAG emulator, power supply and a complete set of development tools including a royalty free real-time operating system, TCP/IP v4/6 library, web server, telnet and example tunneling software. It is available in two packages – 225 pin BGA and 208 pin QFP. The gridARM chip includes an ARM7TDMI core, 10/100/1000 Ethernet MAC, CAN controller, up to 3 serial ports, I2C, SPI, on chip SRAM, USB device, A/D converters, and interfaces for SDRAM, Flash, Compact Flash, external SRAM, and NAND flash. The gridARM is Grid Connect’s third ASIC in the family. The LX and EX ASICs have been around since the early 2000 and are used by thousands of customers in commercial and industrial applications. Swedish chip designer Xelerated has started volume production of its HX family of 100G network processors (NPU) for packet-OTN, mobile backhaul/PTN and Carrier Ethernet Switch-Routers. The HX family of NPUs was the first to demonstrate 100G wirespeed network processing last year and has now been designed into 20 systems with the first going into production later this year. Compared to legacy NPUs, the HX family typically reduces power consumption per processed gigabit of traffic by 67 percent. System vendors are constantly challenged to add new services and features to their Ethernet and IP/MPLS data planes. To increase feature velocity, data planes are increasingly implemented using network processors, which are flexible and can be enhanced through software upgrades. Designed for pizza box and line card slot capacities of 20-200 Gbps, the HX family integrates inherent wirespeed processing and advanced traffic management with deep packet buffering. In packet-OTN systems, the HX NPU enables Ethernet/MPLS services for 100 Gbps of traffic using a single chip. These line cards are designed for aggregation and transport, and support a range of interface types including GE, 10GE, 40GE, 100GE and OTU0-OTU4. In mobile backhaul, the HX family implements complete L2 and L3 switch-router applications. Researchers in Denmark have developed a fully functional smartphone brain scanner with a a low-cost 14-channel EEG headset with a wireless connection to a Nokia N900 smartphone. This provides a touch-based interface with real-time brain state decoding and 3D reconstruction and enables minimally invasive EEG monitoring in naturalistic settings. Developed at milab, part of the Cognitive Systems Section at DTU Informatics in Copenhagen, the system provides a fully portable real-time functional brain scanner including stimulus delivery, data acquisition, logging, brain state decoding and 3D activity visualization. The headset transmits the EEG data to a receiver module connected to a Nokia N900 phone and the data is decrypted directly on the phone, filtered and passed to the source reconstruction module that outputs the visualization. The source reconstruction is performed over number of samples (default over 16 samples resulting in 8Hz visualization). The delay between the signal appearing in the headset and being visualized on the screen depends on the used source reconstruction window and is between 130 and 150 msec for 8Hz visualization. The frame rate of the visualization (in OpenGL) is around 30fps. The video demonstrates the smartphone brain scanner with the Emotiv 14-channel EEG headset worn by a subject and a real-time 3D brain reconstruction and activity visualization on the N900 smartphone. 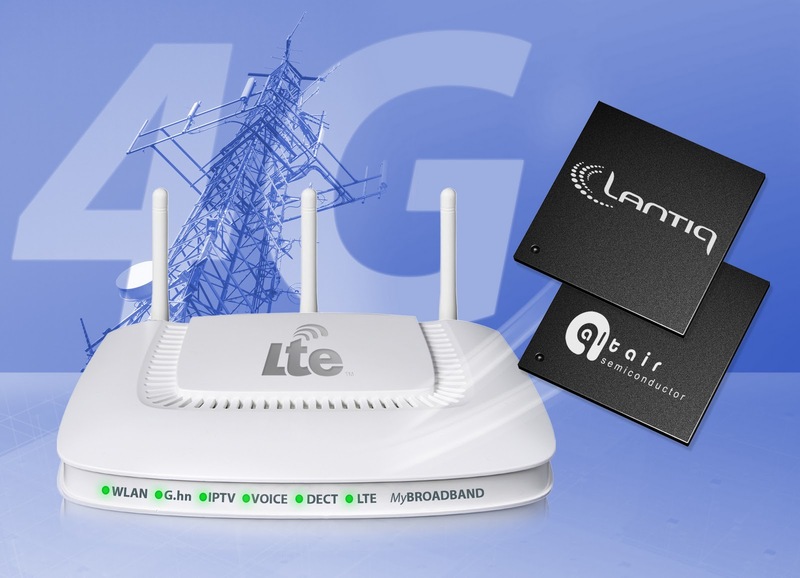 German chip maker Lantiq has teamed up with Altair Semiconductor to speed development of LTE-ready home gateways. The deal combines Altair's ultra-low power, small footprint and high performance 4G LTE chipsets with Lantiq XWAY GRX family of network processors. The Altair FourGee-3100/6200 is a 3GPP LTE chipset that offers both TDD and FDD capabilities and has been extensively tested for interoperability with all leading infrastructure solutions. The deal allows OEMs and ODMs to develop a variety of LTE CPE equipment, from simple LTE bridge modems up to multiservice LTE gateways, optimised for different regional market requirements in Europe, Asia and the Americas. The joint system solution is planned for Q1 2012. 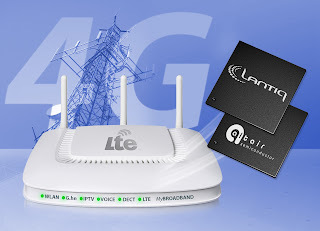 Lantiq’s connectivity and voice product portfolio, including Fast/Gigabit-Ethernet, WLAN, FXS, DECT/CAT-iq solutions, complements the system offering allowing customers to build LTE gateways from pure data-only gateways up to high-end LTE gateways, including voice. Altair’s software driver and Lantiq’s Universal Gateway (UGW) firmware will speed up the system integration at OEMs/ODMs and will allow faster time-to-market. 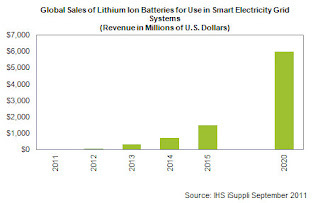 The proliferation of electrical smart grids during the next decade will generate nearly $6 billion worth of demand by 2020 for lithium ion batteries used mainly in energy storage systems, according to the IHS iSuppli Rechargeable Batteries Special Report. 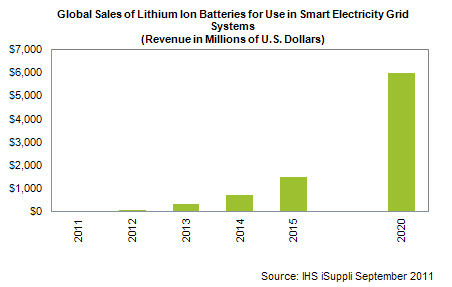 Worldwide revenue from sales of lithium ion batteries for smart grids will surge to $5.98 billion in 2020, up by a factor of more than 80 from $72 million in 2012. Smart grid energy storage comes in multiple form factors, ranging from single-home systems to a cluster of homes or a building, to uninterruptible power systems for corporate information technology (IT) operations, to large-scale systems used by grid operators. Energy storage is used for purposes running from grid stability to backup power for IT, to extending wind and solar energy capture into the evening. An advantage to lithium ion batteries is that they maintain full capacity even after a partial recharge. Furthermore, they are considered to be more environmentally safe than other battery technologies. Beyond smart grids, lithium ion batteries are employed in a wide range of applications, including mobile handsets, notebook PCs, tablet computers, and hybrid and electric vehicles. A smart grid is a utility electricity delivery system that employs computer and communications technology to improve the flexibility and efficiency of power distribution. In conventional power grids, power flows just one way, going from large-scale power generators to users. Smart grids, in contrast, can accommodate and control electricity that is generated both by big utilities and by individual consumers and businesses. This makes smart grids a key element in utilizing and redistributing the energy generated by solar systems installed by electricity users. Development of smart grids is being spurred by various government initiatives throughout the world. For example, the United States has budgeted $4.5 billion for the purpose. Meanwhile, China is expected to become the largest smart grid market in the world, with $586 billion set to be invested in the electrical power supply infrastructure during the next 10 years. EETimes reports that Broadcom is closing its chip design business for the US ATSC digital TV standard. The decision seem to come as the company is said to have been steadily losing DTV sockets to two Taiwan-based consumer chip companies, MediaTek and Mstar, in the mid- to low-end of the digital TV markets. One of the world's largest flat panel makers, AU Optronics, has signed a deal to use a 3D gesture control chip in its 2D multi touch and 3D Liquid Crystal Display Modules (LCM) to create the world’s first LCM display with integrated free-space gesture control functionality. The agreement will provide the consumer electronic market, especially tablet PCs, with a next generation of displays, providing true 3D sensing capabilities on top of traditional 2D touch control. The GestIC chip, developed by IDENT Technology in Germany, is based on near-field electric sensing, which allows a very easy integration into standard touch panels of AUO at a most attractive price point. A user’s hand or finger motion hovering over the display area is translated into a broad range of pre-defined gesture commands as well as jitter-free positional data. In comparison to optical camera based systems, it works independently of the ambient environment, eliminates detection blind spots and only requires a fraction of the power. “The partnership between AUO and IDENT will create groundbreaking user interface solutions and change the way we interact with our devices,” said Roland Aubauer, Chief Technology Officer and speaker of the IDENT managing board. The two companies will jointly integrate GestIC into AUO’s LCM and develop the user interface concept to accelerate delivery to consumers. AUO will create, market and distribute their 2D multi touch and 3D Gesture displays that provide, along with the traditional display functionalities, a whole set of pre-loaded compelling applications that can be controlled by the consumer as simply as the wave of a hand. "IDENT’s GestIC SoC allows us to truly unleash the third dimension for user input control via our display products," said HongJye Hong, Senior Associate Vice President of AUO Technology Unit. "Through this partnership, AUO will be able to enhance the users’ experience of operating touch/multi-touch displays. At the same time our product creation will not be burdened with all the technology shortcomings of other 3D user interface technologies which prevented a break-through of 3D gesture control for mobile devices so far.” He concludes, “We are very pleased to create the world’s first display with true 3D hand gesture sensing capability." The competition for microcontrollers based on the ARM architecture is hotting up with STMicroelectronics launching its STM32 F4 series of microcontrollers with the claim of the world's most powerful. The 90nm series is based on the latest ARM Cortex-M4 core, which adds signal-processing capabilities and faster operations. Single-cycle DSP instructions of the STM32 F4 open the doors to the digital signal controller (DSC) market that requires high computational capability and DSP instructions for demanding applications such as high-end motor control, medical equipment and security. Other microcontroller makers using the ARM architecture are set to launch 65nm parts which point to similar if not higher performance. A key point is the ability to upgrade from existing ARM-based devices. ST points out the STM32 range is the industry’s most successful family of 32-bit ARM Cortex-M processor-based microcontrollers, with nearly one of every two units shipped being a member of the STM32 family[reference]. By providing a simple, full pin-to-pin and software compatible upgrade from the STM32 F2 series with more SRAM, higher performance and a robust collection of peripherals, the F4 series will enable customers designing with the STM32 F2 series microcontrollers to offer product extensions by upgrading to the F4 series if they need more memory, performance or features. In addition, customers currently using a 2-chip MCU and DSP approach can now combine both chips in one high-performance digital signal controller. “ST's decision to include the ARM Cortex-M4 processor into its broad MCU portfolio is a testimony to the processor's low power consumption, advanced design and high-performance DSP capabilities,” said Lance Howarth, EVP, Marketing, ARM. "ST now has one of the broadest ARM Cortex-M series processor-based portfolios available. The Cortex-M series represents the fastest growing MCU architecture and the STM32 F4 microcontroller will undoubtedly further accelerate the adoption of the ARM architecture across microcontroller applications." The 90nm F4 series operates at a higher frequency (168 MHz instead of 120 MHz), offers single-cycle DSP instruction support and a Floating Point Unit, larger SRAM (192 Kbytes vs. 128 Kbytes), embedded flash memory from 512 Kbytes up to 1 Mbyte, and advanced peripherals for imaging, connectivity and encryption. STM32F405x: in addition to a complete set of advanced peripherals including timers, three ADCs, two DACs, serial interfaces, external memory interface, RTC, CRC calculation unit and analog true Random Number Generator, the STM32F405 products have a USB On-The-Go (OTG) full-speed/high-speed interface. They are available in four packages (WLCSP64, LQFP64, LQFP100, LQFP144) with 1 Mbyte of Flash. STM32F407 products add several advanced peripherals to the ones offered on the STM32F405 products: a second USB OTG interface (full-speed only); an integrated Ethernet MAC 10/100 supporting both MII and RMII, with IEEE1588 Precise Time Protocol v2 Hardware support and an 8- to 14-bit parallel camera interface allowing the connection of a CMOS camera sensor, supporting up to 67.2 Mbytes/s. Devices are available in four packages (LQFP100, LQFP144, LQFP/BGA176), with from 512 Kbytes to 1 Mbyte of Flash. The STM32F415 and STM32F417 parts add a crypto/hash processor to the STM32F405 and STM32F407. This crypto/hash processor includes hardware acceleration for AES 128, 192, 256, Triple DES, HASH (MD5, SHA-1). As an example of the performance achieved by the crypto/hash processor, the AES-256 encryption throughput reaches up to 149.33 Mbytes/s. Cypress Semiconductor has launched a highly integrated 2.4GHz WirelessUSB Radio-on-a-Chip with very low power consumption for wireless keyboards, mice, remote controls and other Human Interface Devices (HIDs). The new devices are offered in 4 x 4 mm QFN packages, in bare die, and in wafer form, enabling low-cost chip-on-board manufacturing. The WirelessUSB NL has a -87dBm receive sensitivity at 1 Mbps. This enables longer range operation and allows for lower-power transmit signals. The device features very low active and standby current (less than 1 uA), enabling battery life to be more than a year for normal mouse usage. WirelessUSB NL also has a closed-loop internal architecture that minimizes signal frequency drift for very robust radio performance. This robustness minimizes retries during transmission enabling lower power consumption and allows for long payload lengths of up to 255 bytes. The device is highly integrated, requiring less than 12 non-critical supporting components to make a complete mouse. This integration reduces board space, BOM cost and manufacturing cost, while improving overall product quality. "Cypress's WirelessUSB has built a strong reputation as the premium solution for wireless HID products with its quality and performance," said Jayant Somani, Senior Marketing Director of Cypress's HID Business Unit. "With our bare die and wafer form offerings, WirelessUSB NL extends our portfolio of wireless products to support a variety of customer needs." Fühlen, a leading mouse manufacturer, has selected WirelessUSB NL for its new A50G wireless mouse. The new 2.4GHz wireless mouse offers best-in-class battery life, performance and interference immunity. Rex Lai, President of Fuhlen said, "The WirelessUSB NL solution offered us low-power and high performance at the right price. We were able to get the A50G to market quickly with great design support from Cypress." WirelessUSB NL also supports Cypress' Agile HID protocol that allows existing WirelessUSB customers to get started quickly on their designs without any additional effort. Reference designs to speed time-to-market are available from Cypress for these solutions. It comes in RF-tested 24-QFN packages (CYRF8935A-24LQXC), in bare die (CYRF8935A-4X14C) and in full wafers (CYRF8935A-4XW14C). The die and wafer parts are available today in production volumes. The packaged parts are expected to be in production in the fourth quarter of 2011. Carbon nanotubes have been are inching toward electrical conductivities seen in metal wires in the labs, but researchers have now been able to use them at line voltages, lighting up interest among a range of industries. Researchers at Rice University in the US made such a cable from double-walled carbon nanotubes and powered a fluorescent light bulb at standard line voltage. Highly conductive nanotube-based cables could be just as efficient as traditional metals at a sixth of the weight, said Enrique Barrera, a Rice professor of mechanical engineering and materials science. They may find wide use first in applications where weight is a critical factor, such as aircraft and cars and in the future could even replace traditional wiring in homes. The cables developed in the study are spun from pristine nanotubes and can be tied together without losing their conductivity. To increase conductivity of the cables, the team doped them with iodine and the cables remained stable. The conductivity-to-weight ratio (called specific conductivity) beats metals, including copper and silver, and is second only to the metal with highest specific conductivity, sodium. Yao Zhao built the demo rig that let him toggle power through the nanocable and replace conventional copper wire in the light-bulb circuit. He left the bulb burning for days on end, with no sign of degradation in the nanotube cable. He's also reasonably sure the cable is mechanically robust; tests showed the nanocable to be just as strong and tough as metals it would replace, and it worked in a wide range of temperatures. Zhao also found that tying two pieces of the cable together did not hinder their ability to conduct electricity. The few centimeters of cable demonstrated in the present study seems short, but spinning billions of nanotubes (supplied by research partner Tsinghua University) into a cable at all is quite a feat, Barrera said. The chemical processes used to grow and then align nanotubes will ultimately be part of a larger process that begins with raw materials and ends with a steady stream of nanocable, he said. The next stage would be to make longer, thicker cables that carry higher current while keeping the wire lightweight. "We really want to go better than what copper or other metals can offer overall," he said. One of Europe's major embedded manufacturers is to add a new format of ARM-based boards and PCs boxes to its Intel and AMD-based product range. Kontron describes this as a strategic move into the ARM architecture, enabling a new breed of embedded scalable building blocks for application-ready platforms with low-power consumption. The first products planned for 2011 will be in the module and board form factors. Under development at Kontron is a new module format, optimized for ARM System-On-Chip (SOC) processor types. The modules will enable ARM processors, single, dual and quad core, to be used in most vertical market applications. Following the initial release, Kontron then plans to expand its SBC family, as well as tablet and box PCs and HMIs. All Kontron ARM-based products will be available as standard solutions or as customer-specific designs as required. "ARM- and RISC-based solutions have been part of our product range for quite a long period of time. Our strategic focus, however, was mainly x86 processor technology. Now we are extending our product range significantly with the addition of ARM", said Dirk Finstel, CTO of Kontron. "By doing this, we are creating building blocks which will enable us to serve our embedded computing customers even more comprehensively. Along with the extremely energy-efficient, stationary solutions we will be placing a special focus on mobile solutions with excellent battery power-saving characteristics, which will be an ideal extension to our x86 portfolio." A new line of Computer-on-Modules is being defined to allow the usage of ARM from single core to future quad core processors. This highly integrated ARM SOC silicon leaves a gap between the interfaces provided and what can be routed through a standard module connector. A classic PC chipset has a large number of PCI-Express lanes and USB ports. In contrast to this, the ARM SOC provides multiple UART, I2C, SDIO ports and less PCIe and USB interfaces. To allow optimum interface usage a new definition deems necessary. Kontron has selected a rugged card edge / gold finger connector solution to enable access to an industry proven connector model allowing low profile options. To ensure improved time-to-market, Kontron is committed to enabling the ARM-based products to work with the most relevant operating systems. In addition to Windows CE 6/7, Linux operating systems such as QNX, Green Hill and VxWorks (including Hypervisor) will also be supported to focus on high reliability and real time computing. In addition, Kontron's ARM products will be ready for Windows 8 at the time of introduction. "Due to the increase in software support beyond the boundaries of x86 technology by companies such as Microsoft, many of our customers also want to branch out on the processor technology they use," said Finstel. "Porting existing and new solutions between RISC and CISC architectures can be carried out with increased ease. The actual processor architecture is becoming less relevant as a decision criterion. Price, power consumption and performance per watt are now amongst the most important factors. One can also say that - after the revolution which x86 technology triggered off - a new era has begun in which, thanks to the extensive software support, the boundaries of processor technology are disappearing as the software eco-system has been extended to further technology platforms. This is why it is a logical step for us to launch solutions for ARM and RISC technologies which are very closely related." Along with the corresponding hardware platforms, Kontron will be focusing heavily on software support and additional services such as customization, driver adoption and porting applications. Application engineers will benefit from an efficient migration path while at the same time significantly reducing costs. The first Kontron ARM-based module early field testing platforms will be available before the end of 2011, with SBCs, tablet computers, box PCs and HIMs following in 2012.